March 31, 2019: Attendance at the Special Lecture "The Heart of Japanese Beauty (日本美のこころ)" by Her Imperial Highness Princess Akiko. March 11, 2019: Attendance at the 8th Commemoration Ceremony of the Great East Japan Earthquake. March 3, 2019: Attendance at the Hinamatsuri (Doll Festival) Reception Hosted by Her Imperial Highness Princess Takamado. February 26, 2019: Attendance at the 30th Anniversary of His Majesty the Emperor's Accession to the Throne. February 24, 2019: Attendance at the 30th Anniversary of His Majesty the Emperor's Accession to the Throne. January 1, 2019: Attendance at the Imperial Palace for His Majesty the Emperor’s New Year’s Greeting. December 23, 2018: H.E. Amb. 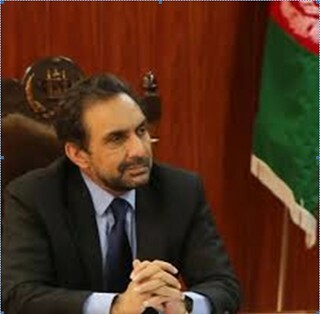 Dr. Mohabbat Conveys to H.M. the Emperor Heartfelt Birthday Congratulations. November 12, 2018: Attendance at the Marriage Reception for Mrs. Ayako Moriya, Formerly H.I.H. Princess Ayako of Takamado. November 10, 2018: Attendance at the 2018 Kyoto Prize Celebrations by the Inamori Foundation in Kyoto. October 10, 2018: Attendance at Opening Reception for “Japan Through Diplomat’s Eyes” Photo Exhibit. June 29, 2018: Urasenke Tea Ceremony Honoring the 9th Anniversary of Planting the Ume Tree by H.I.H. Princess Takamado at the Embassy. July 19, 2017: H.E. Dr. Mohabbat Presents his Letter of Credence to His Majesty the Emperor of Japan. April 23, 2019: Hosted Lunch, Presentation, and Bazaar for the Ikebana International Saitama Office Members. April 19, 2019: Attendance at the Boishakhi Lunch Celebrating the Bangla New Year 1426. April 17, 2019: Courtesy Call by Japan International Volunteer Center (JVC) and its Partnering NGO “Your Voice Organization” (VYO). April 17, 2019: Courtesy Call by Representatives of Shanti Volunteer Association (SVA). April 16, 2019: Attendance at the Reception Honoring the Birthday of Her Majesty Queen Margrethe the Second at the Royal Danish Embassy. April 16, 2019: Attendance at the Briefing Meeting "Researches and Lectures on Water” by His Imperial Highness the Crown Prince of Japan. April 16, 2019: Meeting with Mr. Masataka Nakahara. April 16, 2019: Meeting with H.E. the Ambassador of the Philippines. April 13, 2019: Attendance at the Ceremony in Honor of the 25th Anniversary of the Association of Kenshikai Healthcare Corporation, 26th Anniversary of the Reshad Clinic, and 20th Anniversary of the Apolon Elderly Care Center. April 13, 2019: Attendance at H.E. Prime Minister's Annual Cherry Blossom Party. April 12, 2019: Meeting Concerning Developments in the Peace Process with H.E. Ambassador Mr. Hiroshi Oka. April 11, 2019: Meeting Concerning Developments in the Peace Process with H.E. Mr. Natsuo Yamaguchi. April 11, 2019: Courtesy Call to Suzumemiya Junior High School in Tochigi Prefecture. April 10, 2019: Meeting with H.E. Ms. Seiko Noda. April 10, 2019: Attendance at the 2019 ALFS Charity Bazaar International. 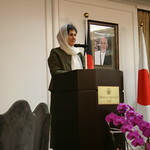 April 5, 2019: Center for Contemporary Islamic Studies in Japan, Japan Center for International Exchange, and JICA Hosted Movie, Presentation, and Dinner at the Embassy. April 4, 2019: Hosted Inaugural “Cherry Blossoms Gathering” Dinner at the Ambassador’s Residence for Several of Their Excellencies the Ambassadors. April 4, 2019: Attendance at the Diplomatic Eye Lunch at the Thai Embassy. April 3, 2019: Reception on the Occasion of the Visit to Japan by Afghan Delegation Members Under Various Sectors of Education for JICE’s “Knowledge Co-Creation Program” Education Administration Course. April 2, 2019: Attendance at Entrance Ceremony of Tokai University. March 29, 2019: Hosted Lunch, Ikebana Demonstration, Afghanistan Presentation, and Bazaar for Ikebana International Guests. March 28, 2019: Attendance at the Annual Hanami Party Reception at the Embassy of India. March 27, 2019: Meeting with the Nagoya Certified Public Tax Accountants' Association Representatives. 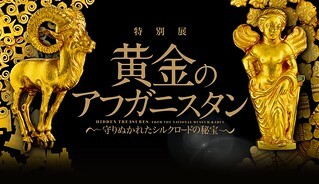 March 26, 2019: Attendance at the Inter Media Japan 2019 Annual Gala. March 26, 2019: Meeting with Deputy Chief of Mission, Minister Hara of the Embassy of Japan in Kabul. March 26, 2019: Attendance at the Reception of 48th Anniversary of Independence and National Day of Bangladesh. March 25, 2019: Attendance at the Reception for the Promotion of Nagasaki Prefecture. March 25, 2019: Condolence Book Signing at the Embassy of the Republic of Iraq. March 24, 2019: Attendance at the 2019 Minato City Stamp Rally World Festival. March 20, 2019: Attendance at the TAE ASHIDA Autumn Winter Collection 2019-2020 Fashion Show. March 19, 2019: Attendance at the General Meeting and Banquet on the Occasion of the 27th Anniversary of The Women’s Federation for World Peace Japan. March 18, 2019: Attendance at the Spring Special Gagaku Performance Celebrating the 30th Anniversary of the Enthronement of His Majesty the Emperor. March 18, 2019: 2019 Spring Luncheon Reception in Honor of PEACE Project, MEXT Scholarship, and Joint Japan/World Bank Graduate Scholarship Graduates. March 15, 2019: Memorial Honoring the Late Marshal Fahim. March 12-13, 2019: Greeting H.E. the Minister of Education of Afghanistan at the Airport and Escorting him to Shimane Prefecture. March 10, 2019: Attendance at Tokyo Metropolitan Government’s Peace Day Memorial Ceremony. March 10, 2019: Brunch Meeting with Hon. Dr. David M. Malone, Rector of UN University. March 9, 2019: Welcoming the Minato-Ku World Carnival “Stamp Rally Saturday Presentation” Guests. March 8, 2019: Attendance at the Opening Ceremony, Reception, and Preview of "Hibla ng Filipino Traveling Exhibition, Lecture Series, Weaving Demonstrations and Embroidery Workshops featuring Pina-Seda: Pineapple and Silk Cloths from the Tropics". March 8, 2019: Courtesy Call on Parliamentary Vice Minister of the Ministry of Education, Culture, Sports, Science and Technology. March 7, 2019: Attendance at the Opening Ceremony of the Art Fair Tokyo 2019. March 7, 2019: Attendance at the Condolence Book signing at the German Embassy. March 6, 2019: Japanese Tax System Export & Implementation Meeting. February 26, 2019: Attendance at the Welcome Party Hosted by the H.E. the Assistant Minister and Director-General of the Middle Eastern and African Affairs Department of Ministry of Foreign Affairs of Japan. February 25, 2019: Attendance at the 58th National Day and 28th Liberation of the State Anniversaries for Kuwait. February 19, 2019: Attendance at the Reception for the Promotion of Ehime Prefecture. February 14, 2019: Condolence Book Opened In Memoriam: His late Excellency Hazarat Sibgahtullah Mojaddedi. February 8, 2019: Attendance at the Opening Ceremony of “Peace Through Flowers” Exhibit. February 7, 2019: Attendance at the 40th Anniversary of the Victory of the Islamic Republic Revolution Reception. February 6, 2019: Courtesy Call on the Executive Vice President for Education of the Tokyo Institute of Technology. February 5, 2019: Attendance at the Opening Ceremony of "Japan transforming - through Diplomat's Eyes 2018" in Kanagawa. February 4, 2019: Meeting with the Hon. President and Hon. Vice President of Tokyo University of Agriculture and Technology. February 1, 2019: Attendance at “Reception to Introduce Kyoto Culture and Charm”. January 29, 2019: Hosted Lunch, Presentation, and Bazaar for the NHK Culture Center Guests. January 29, 2019: Attendance at Farewell Reception for H.E. Ambassador of the Islamic Republic of Pakistan to Japan. January 28, 2019: Attendance at the Reception on the Occasion of the 70th Republic Day of India. January 27, 2019: Attendance at the NPO Association of Sahadat for Children in Afghanistan (ASCA) Reception in Gifu Prefecture. January 27, 2019: Attendance at Reception for H.E. Ms. Seiko Noda in Gifu Prefecture. January 26, 2019: Attendance at Chukyo University Alumni “Networking Event” and New Year Reception. January 24, 2019: Courtesy Call by Gifu Broadcast Representatives. January 22, 2019: Reception on the Occasion of the Visit by Delegation Members from the National Olympic Committee of Afghanistan, General Directorate of Physical Education and Sport of Afghanistan Under the JENESYS2018 SAARC 2nd Batch Program. January 19, 2019: Attendance at the New Year's Party 2019 hosted by GIF Minato International Association. January 18, 2019: Attendance at Reception Hosted by Hon. Deputy Vice Minister of Foreign Affairs. January 17, 2019: Attendance at the Reception Honoring the 90th Anniversary of the Establishment of Diplomatic Relations Between Iran and Japan. January 15, 2019: Attendance at the 2019 Tokyo Ambassador Night. January 14, 2019: Attendance at the 2019 Kagami Biraki and Budo Hajime at Nihon Budokan. January 11, 2019: Attendance at the Minato City’s New Year Celebration and Friendship Promotion Reception. January 10, 2019: Attendance at the Farewell Dinner for H.E. Ambassador of Azerbaijan. January 8, 2019: Meeting with H.E. Mr. Hiroshi Oka, Assistant Minister & Director General of the Middle Eastern and African Affairs Bureau; as well as Special Representative to Afghanistan, at MOFA Japan Headquarters. January 7, 2019: Attendance at Joint New Year’s Party Hosted by The Japan and Tokyo Chambers for Commerce and Industry, Keidanren, and Keizai Doyukai.